Here’s what some of our happy customers had to say about moving house with Aarons Removals. Move was completed successfully. I would like to express my gratitude to the loaders at the Perth end and the two men, Zac and Phil, that I had here in Queensland. They went above and beyond in their help which made a very stressful situation that much more bearable. Firstly, I want to express our thanks for a job well done. 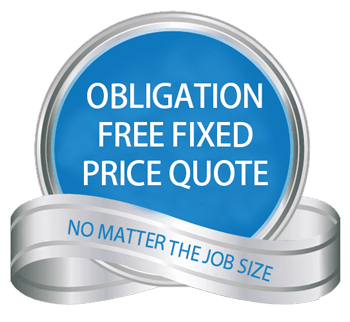 Your personal pre-removal appointment, flexible approach to pricing and professional removal service is to be commended. The three guys on our job were not only friendly and helpful but extremely polite and gave me the impression that any query or request we had of them was no problem. We will certainly be happy to recommend your company to others in the future. Just a brief note, amidst our unpacking process, to thank you and your team for a most efficient removal service. Craig and his packers did an excellent job in ensuring that all items were packed both speedily and safely. The task of removal, including several bulky items and delicate ones, was handled most efficiently by Noel and Adam. Their never-ending banter and cheerfulness was greatly appreciated and relieved the stress after leaving a home of so many years. The timing of each facet of the operation ran to schedule. One of our sons who is currently building in Safety Bay has been so impressed by our comments about your service that he will contact you when he’s ready to move in. A very efficient and helpful crew. We were very pleased that all our furniture arrived in Mt Barker safely. The men are to be congratulated on their performance. Great job with the antiques, nothing was too difficult. Please let your men know how pleased I am with everything.